What body type are you? What kind of diet should you follow? If you have ever tried to follow a fad or mainstream diet at any point in your life you may have the feeling that some elements were beneficial, but other parts just didn’t fit with you. We are all as individual as our fingerprints so how can one diet or lifestyle plan work for everyone? The simple answer is; it can’t. I think so many of us neglect to hear our own bodies. As a mother I was given this gift during pregnancy; my body knew, and let me know, exactly what it did and didn’t need. It is not so easy to tap into your bodily needs but they are there and telling you constantly what is required. The Ayurvedic way of looking at your diet, and overall health, is to first know your body; to know you’re unique and to work with this not against it. To really know yourself is the first step. As there can not be a ‘one-size-fits-all’ health plan, the ancient system behind the Ayurvedic practice is to find common denominators within body types, personal preferences and what they are more prone to. From here you can then decide on a more specified diet that suits your specific body type to promote health and well being. The Ayurvedic method focusses far more on diet and lifestyle, prevention rather than medication and so food and lifestyle routines are considered the most important medicine. An Ayurvedic doctor would far more likely provide you with dietary advice as opposed to a prescribed pill. Being a holistic science, Ayurveda focusses on building and maintaining both a physically and mentally balanced state. The Indian monks who founded the practice would treat their bodies as temples in order to reach a higher spiritual plain. It is their observations and collective knowledge that over thousands of years became known as ‘the knowledge of life’ which translates as ‘Ayurveda’. The system is based around there being three ‘Doshas’. 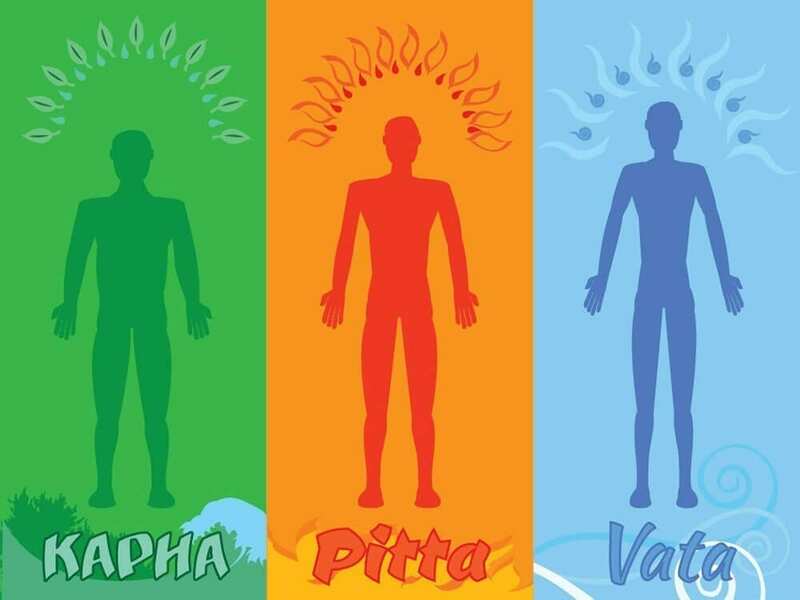 A Dosha is the energy that makes up each and every individual, each energy performs a different physiological function in the body. Energy that controls bodily functions associated with motion, including blood circulation, breathing, blinking, and your heartbeat. When Vata Dosha is balanced it promotes vitality and creativity, yet when unbalanced fear and anxiety can be apparent. Energy that controls the body’s metabolic systems, including digestion, absorption, nutrition, and your body’s temperature. When in balance you can find contentment and a higher level of intelligence. When upset the Pitta Dosha can incur an angry attitude and ulcers. Energy that controls growth in the body. It supplies water to all body parts, moisturises the skin, and maintains the immune system. A balanced Kapha Dosha will be expressed as love and forgiveness whereas when out of balance insecurity and envy can rear their ugly heads. We all have the three Doshas yet different levels of each determine our overall ‘type’. These are the creative types; quick to learn but also quick to forget. Generally Vata are slender and quite tall. They don’t stick to routine well; high energy in short bursts is a common trait and so they tire and bore easily. They have a tendency towards cold hands and feet, discomfort in cold climates. Vata are lively and fun people who are good to have around. However they suffer from changeable moods. When their energy is balanced they can be the life of the party, full of joy and enthusiasm. A predominant Vata will respond to stress with fear, worry, and anxiety, especially when out of balance. They are impulsive and their thoughts are often disjointed. Physically they generally have dry skin and hair and don’t sweat a great deal. Pitta are of medium physique, generally quite strong and well-built. They are of a sharp mind and concentrate well. A Pitta thrives on order and focus. They are assertive, confident, and can be entrepreneurial. Their aggressive, demanding and pushy side can rear up when out of balance. A competitive trait is apparent whereby they enjoy a challenge. They can be passionate and romantic when the moment fits. They have a strong constitution, big appetite, and get irritated when hungry and under stressful situations. Their skin type is fair or reddish, freckly and burns easily in the sun. The heat and hot weather makes them uncomfortable, even irritable and they perspire a lot. Pitta are good leaders, they can speak well in public and hold court with comfort and ease. However they can become quite authoritarian. They can be rash, temperamental, impatient and angry. Typical physical problems include rashes or inflammations of the skin, acne, boils, skin cancer, ulcers, heartburn, insomnia and dry eyes. The Kapha type is more easygoing and relaxed with a slow-paced attitude to life. Their build is sturdy, heavy and usually physically strong. They are caring, affectionate and loving. They will easily forgive having a nonjudgmental nature. A Kapha is stable, faithful and reliable. Their energy is the highest of the three Doshas but comes in a slow, steady flow. They speak slowly reflecting a deliberate and calculated thought process. A Kapha can be slower to learn, but their long-term memory is superior. Their hair and skin are generally soft as may be their eyes and voice. They tend to struggle with weight gain and possibly a sluggish digestion. Upon imbalance they can be prone depression. Generally however they are highly self-sufficient and independent. Their approach to life is gentle and essentially undemanding. Their kind is calm and solid keeping harmony and peace in their surroundings which can form stability for others. They tend to be possessive and hold on to things. They prefer warmer climes; cold, damp weather does not sit well with them. The three body types are reflections of the qualities of nature. They give insight not just into the tendencies of our bodies, but of our mental, emotional, and behavioural characteristics. Knowing your body type is the first most critical step you can take to gain control of your health. There are plenty of websites offering a quiz or questionnaire which will determine your Ayurvedic ‘type’. The best way to really figure it out is to take a few of these from various reliable sources before you make up your mind as to which suits your mind and constitution best. Holistic Online is very detailed and thorough, though most are similar and should provide similar results if they are following the Ayurvedic knowledge effectively. The questionnaire should be quite lengthy and detailed in order for you to discover your own unique blend and give a reliable outcome. 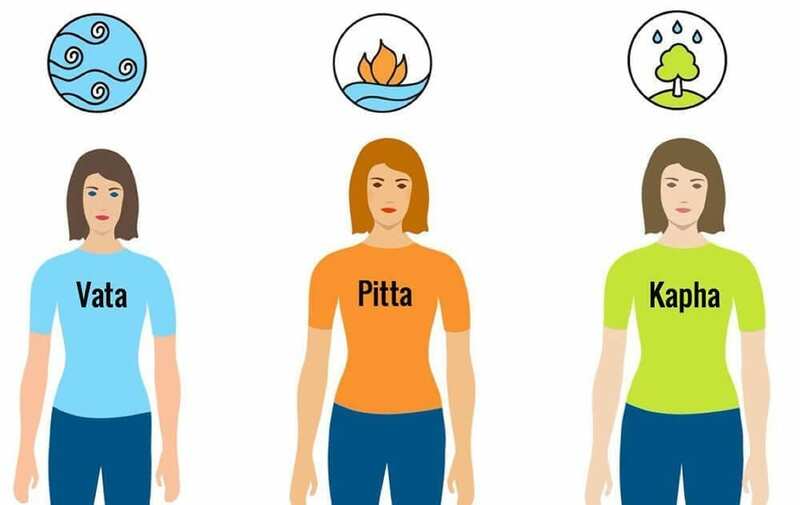 Make sure you don’t settle for one type too quickly, you may be a Vata, you may be a Vata Pitta but you must also realise that you are a multi-layered individual. The various Dosha compositions can present themselves in you at different strengths within different aspects of life. Know yourself, know your abilities, and develop a personal harmony within your own realm. You must also remain aware that throughout life and situations your body and mind will alter. For example during a pregnancy a woman’s Dosha levels may shift more towards one type than during a regular year. Age has effect, as does puberty, any hormonal variation, environmental changes, cultural changes. Everything has its effect so be sure to continuously check on your personal composition. Often people relate to all three Doshas and so become confused as to which particular type they should follow; what is important is to become aware of the energies and give them the appropriate value at the appropriate time. Seeing life through an Ayurvedic lens is certainly an eye opener and can also open a lot of previously unnoticed emotional and physical doors on your path to a healthier more balanced way of life. You know your type – now what? The aim is to follow an Ayurvedic diet and lifestyle which suits your newly found (current) ‘type’. There are guidelines and specific advice which will help you maintain a healthy, well-balanced lifestyle suited to your individual constitution. You would need to develop a composition based on your own Dosha levels. Try and maintain regular habits, make a schedule for meals and sleep, making sure you get sufficient rest. Find time to nurture yourself, in a calm and comforting environment…a massage perhaps? Avoid lengthy periods in cold environments. Keep movement, travel, crowds and loud noise to a minimum. Select warm, cooked, nourishing foods that are easy to digest but with a heavier texture. Butter and fat are good stabilisers. Choose salty, sour, and sweet; warm milk, cream, soups, stews, porridge, warm breads, and herbal teas are all good choices for Vata types. Recommended spices: cinnamon, cardamom, cumin, ginger, cloves and garlic. Berries, fruit, beans, rice, and all nuts and dairy products are Vata recommendations. Avoid an excess of cold foods; salad, icy drinks, raw vegetables. Avoid caffeinated drinks, sweets and underripe fruit. Exercise intensity should be moderate; focus more on sports such as swimming, gentle cycling, Tai Chi, Yoga for example, or a brisk walk. Meditate and avoid strenuous activities. Keep cool both physically AND mentally; steer clear of lengthy periods of direct sunlight and fried and spicy foods and lengthy periods of stressful situations; apply an attitude of moderation in all things. Avoid alcohol and tobacco, overworking, and overheating. Make time to get plenty of fresh air. Get plenty of physical exercise every day, in a cool environment. Avoid situations that can cause aggravation; Pitta types are susceptible to feeling negative emotions like hostility, hatred, intolerance, and jealousy. Try to practice patience and consideration of others. Not your strong suit. Avoid an excess of heat, steam or humidity, ensure your fluid intake is high. Eat warm (not piping hot or cold) foods with moderately heavy textures. Focus on bitter, sweet and astringent tasting foods. Avoid red meat, consume abundant amounts of grains and vegetables. Choose fresh vegetables and fruits that are watery and sweet, such as cherries, mango, cucumber, watermelon, and avocado. Eat big salads often; go for dark greens such as rocket, dandelion, spinach and kale. Avoid alcohol, fermented foods, vinegar (substitute with lemon), oils, salts, heavy fried foods, egg yolks, nuts, hot spices, honey, hot drinks and reduce coffee intake. Meditate, find inner calm and cultivate the virtues of honesty, morality, kindness, generosity, and self-control. Wake up early – before dawn, sleep less and avoid daytime naps. Be active on a daily basis; Kapha types are prone to sluggishness, depression, and being overweight; energise the body and mind with stimulating activities to build your metabolic rate. Seeking new experiences is also recommended to avoid stagnancy and bad habits; don’t cling to your ways of thinking and behaving, change can be good for you. Be open and receptive to useful change, intentionally implement life-enhancing actions; allow for excitement, challenge and variety in your life. 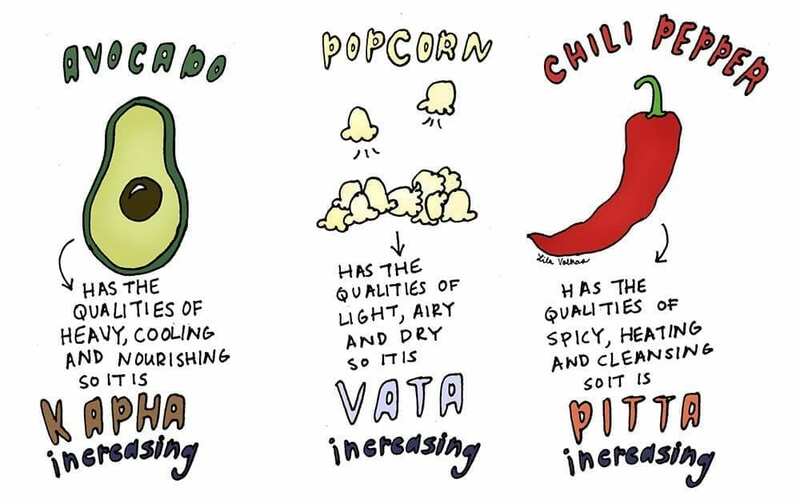 Choose foods that are light, warm, and spicy. Try a ginger and lemon tea for a daily boost. Lightly cook vegetables, eat plenty of raw fruit and veg. Bake, broil, grill or salute – avoid steaming, boiling, deep frying or poaching. Heavy oils, processed sugars, salts (prone to fluid retention), chilled foods and drinks, fats and dairy are detrimental to Kapha health – avoid! Incorporate a selection of spices into your meals such as black pepper, ginger, turmeric, cumin, chilli and fenugreek. Eat plenty of bitter dark greens such as kale, spinach, rocket, endive, romaine lettuce, and drinking tonic water; all good for stimulating the Kapha appetite. 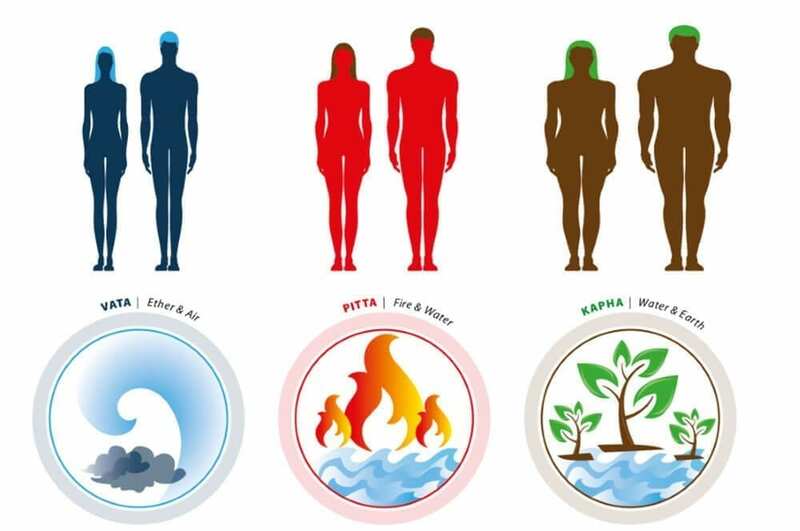 Once you have designed your Dosha level and type for this moment (never forget that as you change your Dosha levels will alter and you must adapt accordingly), keep researching into Ayurvedic practice as to the best way to live and most beneficial activities and dietary requirements to optimise your health and state of mind. The aim is not to put you in a ‘box’, but for you to discover what you are and how you are in any given time and situation in your life and to optimise your health and well-being within an intensively studied and developed system of guidelines. Realise that prevention is key to living a long healthy life. Eat well, live well, be well.